Few days back famous celebrity photographer Dabboo Ratnani launched his calendar. Here many celebs of Bollywood and TV industry marked their presence. Hina Khan was also present here along with her friend Priyank Sharma. She was looking extremely pretty in her pink attire. 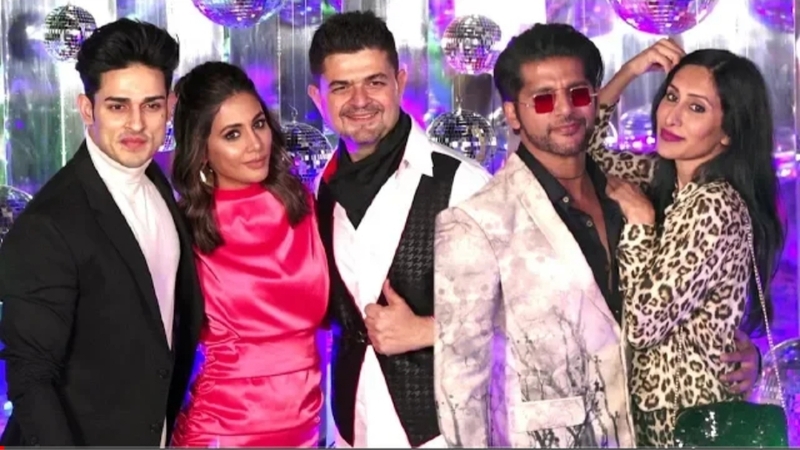 TV actor Karanvir Bohra was also a part of this bash along with his wife Teejay Sidhu. On seeing Hina, Karanvir couldn't control his feelings and forcibly kissed her. He probably was smitten by her beauty and just didn't care about the surroundings. Hina was initially upset but was fine later as Karanvir is a good friend of her.